In todays interview I get to speak with Australian orthopaedic surgeon, Dr Gary Fettke, about why eating real food is so much better for our overall health in the short and long-term. Dr Fettke is a practising orthopaedic surgeon based in Tasmania, Australia. He used to follow conventional nutritional advise to follow the standard food pyramid. He now is a firm believer in eating a low carbohydrate healthy fats diet from the benefits he has seen in himself, his friends, family and patients. Did you know that Dr Fettke is the doctor that was the first person to suspect famous Scottish comedian, Billy Connolly, has Parkinson disease. Dr Fettke watched Billy’s movements and gait at a chance meeting in a hotel in the US. 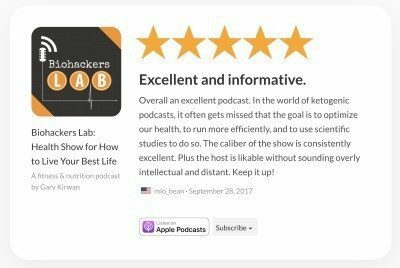 I discuss with Dr Fettke why he is so passionate about talking about eating real food and the benefits of a low carb diet. I also find out interesting facts like how a food science concept of the Maillard Reaction, which is the browning of toast and food, has been found in humans from eating too many carbs. Special thanks to Gary for joining me on the show. Enjoy the episode! 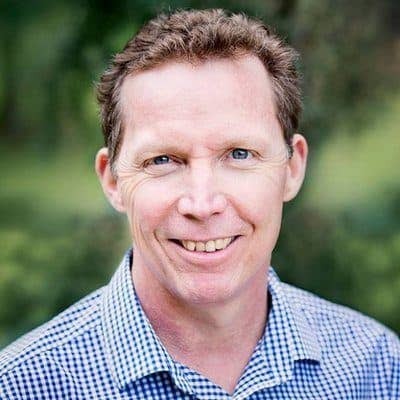 Follow Dr Gary Fettke on Twitter, on the blog No Fructose or on the Facebook page here managed by his wife Belinda Fettke. [0:24] – Dr Gary Fettke’s biography, including how he was a speaker at the first ever low carb convention. [1:40] – What does the surname Fettke mean? How that surname suits the passion Gary has for nutrition. [4:50] – How the LCHF diet is like a game of chess. The moves in a game of chess are very simple; adopting a LCHF diet is very simple, but the more you go into it the more complex it becomes. Diet should be individualised and not blanket rules for everyone. [5:54] – The story behind Dr Gary Fettke’s case in front of the Australian Health Practitioner Regulation Agency (AHPRA). How this medical complaints case was just like the Tim Noakes trial issue about doctors promoting eating a LCHF diet. How an anonymous complainant, who he believes was a dietitian or dietitians, complained that he shouldn’t be giving nutritional advise. [6:50] – Tasmania and other Australian hospital food guidelines allow diabetic patients to have two desserts a day, plus biscuits with morning and afternoon tea and carbohydrate laden meals. This creates nutritional advise confusion in diabetic patients. “Hospitals should be seen as temples of health, instead, they are corridors of confusion.” Gary promotes #wecandobetter on Twitter. [7:54] – Gary tried addressing this issue, but was reported to the medical board. His AHPRA complaint case was behind closed doors. Gary only had 25 mins to state his case and the AHPRA only asked him one question afterwards before ruling against him. His case then became an even bigger enquiry. An Australian Senate committee called for inquiry into the AHPRA and had negative comments about the bullying of doctors by the AHPRSA from their findings. [10:30] – The strange wording the AHPRA ruling used saying that Dr Fettke was gagged from giving nutritional advise even if that advise was adopted as mainstream medical evidence advise. How the CSIRO low carb book is now a best selling diabetes diet book in Australia, which backs what Gary has been saying all along. [12:35] – The results from adopting a low carb diet in managing diabetes are outstanding. Diabetes UK have a study & program showing the improvement in blood glucose levels in diabetic patients adopting a low carb diet. The Nutrition for Life centre patients in Tasmania show the same improvement in HbA1c and other biometric markers. How patients are feeling empowered again being in control of their health after following other diets or the standard food pyramid. [13:42] – The untold situations how orthopaedic surgeons are “nibbling away” parts of diabetic patients bodies like their feet and toes and not just amputating, which is the tip of the iceberg. The rate of complications from poorly managed diabetes and the risk of limb amputations surgeons like Gary are dealing with. Australia amputation rate is 4400 per year. The UK amputations rate it is 20 amputations per day! Gary highlights the complications from either Type 1 or Type 2 diabetes are avoidable and preventable. [21:55] – Gary’s personal story of dealing with pre-diabetes, being overweight as a kid and brain cancer. [24:24] – Gary wrote a book called Inversion. How he sees that most people/organisations are actually saying a lot of similar things in nutrition. This includes the paleo community and CSIRO. [25:32] – Lets get back to eating real food that is fresh, local and seasonal. These types of real foods tend to be low in carbs, moderate in protein and healthy fats. How fruit is designed to make us fat for Winter hibernation. Therefore sugar is used as a basic survival mechanism. How marketing, cultures and social behaviours make it hard for people to stop the addictive behaviour of over consuming sugar and food. [28:44] – We should not only eat seasonal food, but also food grown at the latitude of the country we live in. How Vitamin D is important in the mechanism to clear the byproducts of breaking down fructose.This means the closer you live to the equator the better chance you have of making enough Vitamin D to deal with fructose in take from fruit. The closer you live to the poles the harder it is for your body to regulate high fructose intake and Vitamin D levels. How certain diseases are correlated to latitudes like multiple sclerosis. [32:02] – The over marketing of fruits is a reason why we like to eat fruit out of season. Eating fruit everyday is a modern marketing term. The “5 a Day Program” was made up in California in 1991 between the National Cancer Institute and the Produce for Better Health Foundation. Gary was raised on the concept of meat and three veg. We should eat fruit seasonally, but vegetables are found year round. [34:45] – How Gary also used to have what lots of people think is a healthy breakfast of a bowel of muesli with added fruit, low-fat yoghurt with honey on a whole-grain piece of toast and glass of fresh fruit juice. The problem was the insulin spike and glucose yoyo effect he would experience after eating & then be hungry within a few hours after eating a “healthy” breakfast meal. This type of breakfast is actually 25-30 teaspoons of sugar the body is having to deal with. The frustration then of trying to exercise more to stay at a healthy weight, but not being able to lose weight. [36:24] – How did Gary break his sweet tooth habit? His belief that once you have the knowledge, then you are empowered. How he and other LCHF experts, dietitian associations around the world & food manufacturers are apart of the nutritional confusion people are in. [37:52] – The bias of research studies. How nutritional science is not the same as medical science. Nutritional science has focused more on improving food taste, shelf life and profitability. Dr Zoë Harcombe has been revealing a lot of this misinformation in studies. [40:07] – How Dr Fettke calls processed foods with low fat as “food product” and can’t call it real food. It is a food look-a-like. How weird it is that we have to call real food “real”. We should be eating towards our environment and needs, not calories in & calories out. This means eating to our nutrient requirements and looking at how much nutrition we are getting out the food we eat. An example of a pizza being full of calories but no nutrients, which makes us hungry and obese. [42:41] – Dr Fettke’s concern of how farmers manage soil health in which our food needs to grow. How this effects the nutritional value in the food we eat. “The nutrition of our soil determines, the nutrition of out food, which determines the nutrition of our bodies.” Only small percentage of the worlds surface is agricultural land. We’ve lost 80% of the organic matter in this of arable soil. We need to promote the natural bacteria, fungi and organisms like earthworms to help make top soil healthy again vs fertilisers. [45:25] – How amazing large ruminants like grazing cows, sheep, bison buffalo and goats (Watch this Ted Talk) are for maintaining healthy ecology of soil. Humans are designed to eat meat and not just a 100% plant based diet. The myth of cows causing green house gas increase and global warming. (Gary’s #innocentcows on Twitter) How termites, cockroaches, millipedes and scarab beetles are the next biggest contributor to methane gas, yet we aren’t worried about lowering their numbers to save the planet. How we are affecting more living organisms in a tablespoon of soil vs humans in this world with our actions on soil ecology. [49:45] – Gary recommends reading the “Cows Save the Planet: And Other Improbable Ways of Restoring Soil to Heal the Earth” book available on Amazon. The ecological cost and problem of growing grain to feed cattle when they should be grazing on pasture. [53:30] – How sugar is just calories and lack nutrition value. The food industry has demanded quantity not quality. So it is important consumers don’t wait for government to make the change to the food industry focus on making quality food. [59:23] – Gary’s final thought asking people to lead by example to educate others on the benefits of eating real food for your health. It is wrong that someone can stop a doctor from speaking, Surly a case for court?